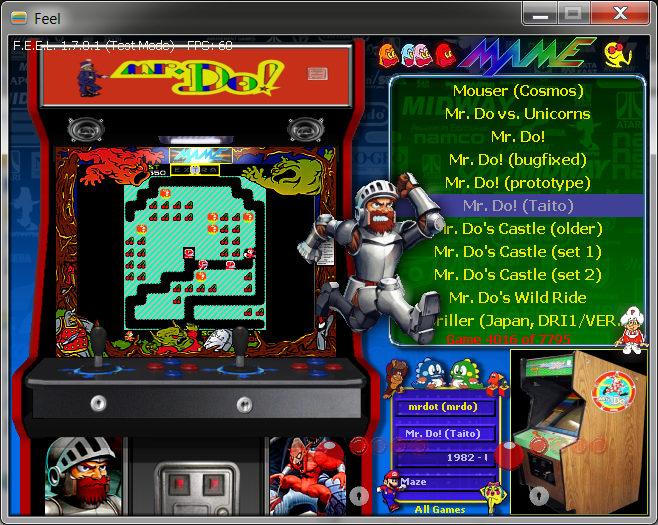 a frontend for MAME and/or any emulator! 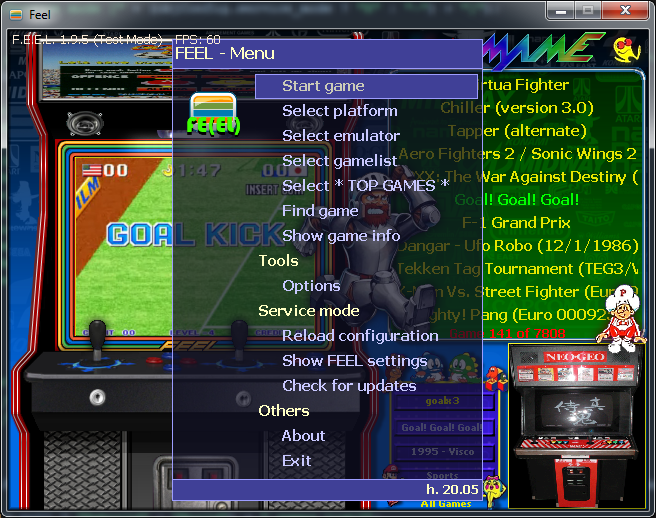 FEEL is a front-end for videogame emulators, especially designed for usage on a home cabinet, highly customizable, ideal for integrating any emulation system (MAME/MESS, Daphne, Fusion, ZSNes, WinVice, virtually any other). Its user interface is designed for being controlled by arcade controls (joystick, buttons, spinners, trackballs), and hides Windows completely to the end-user. This makes it perfect to start automatically at Windows boot in an arcade-pc. Support for new MESS machines softwarelist structure (MAME/MESS 0.162+) – NEW!